During the course of your life, many people and circumstances will come your way, telling you who you are or who you should be. You will be led to believe you must 'look like this' and 'do that' and 'behave in a way' that suits, or appeals to, someone else, in order to be deemed acceptable. From the moment you enter this world, you will be taught, either deliberately or by the behaviour of another, what you need to do in order to please 'him', 'her' and 'them'. By the time you are of adult age, odds are you've lost sight of you who really are, and your true worth. But the good news is: Jesus gets the last say. 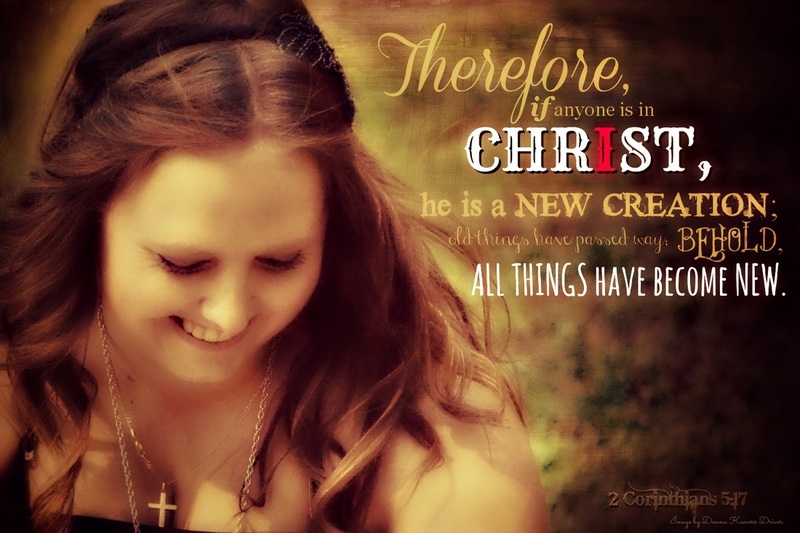 He was there in the Beginning, when God said, "Let us make 'man' in our own image," when man and woman were created, and God declared, "It is good..." And He is here now, looking at you, at who you are, at your heart, at your soul, seeing your true worth and beauty, and openly declaring, "It is good...!" and no one can tell Him otherwise. His word is final! I love verse 3: The Son is the radiance of God’s glory and the exact representation of his being, sustaining all things by his powerful word. After he had provided purification for sins, he sat down at the right hand of the Majesty in heaven. I delight over the image of Jesus speaking, of Him making all things right and, satisfied that all is good and right and 'finished', He takes a seat. This image of Him sitting down gives me the impression that He is well and truly convinced that He has done what He set out to do, and no one else gets a say on the matter. In His confidence, and by 'sitting down', I feel He is stating that what He says is. And no one else gets a say. You cannot 'correct' or alter Truth. Can't you see Jesus taking a seat, confident that all is done and right and good. Then He looks over at you - His Beloved - and smiles. With a twinkle in His eye, that connects His heart to yours, His Spirit states (and, in your heart, you know that you know that you know!!!!) that you are His, you are loved, you are beautiful, you are acceptable, and no one can tell Him otherwise. It is finished... The matter is closed.